Place eggs in large sauce pan. Cover with water. Bring to a boil. Turn off heat, cover eggs with lid and let them sit for 18 minutes. Drain off water. 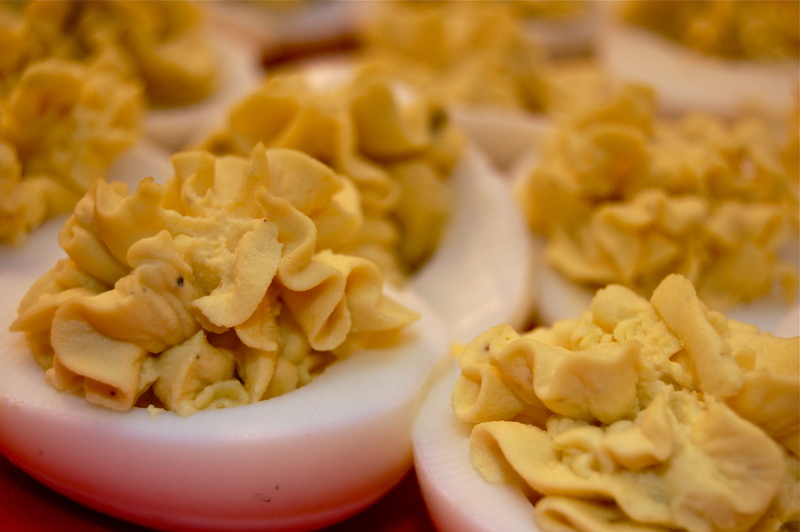 Peel eggs and cut in half, length-wise. Remove cooked yolks and place in medium bowl. Add Miracle Whip, mustard, pickle relish, and house seasoning to yolks. Mix well. Spoon mixture back into cooked egg whites (I piped mine using a pastry bag & pastry tip). on May 3, 2010 at 9:20 pm | Reply Ashley C.